Medieval Times is a dinner and show tournament. On December 9, 2018 at 2:00pm. Medieval Times is hosting an exclusive show to support St. Jude hospital. All proceeds from the show will go to St. Jude’s Children Research Hospital. Here is all the details you need to support! Dallas, TX — Medieval Times in Dallas is supporting St. Jude Children’s Research Hospital® with an exclusive show on Sunday, December 9, 2018 at 2:00 pm. 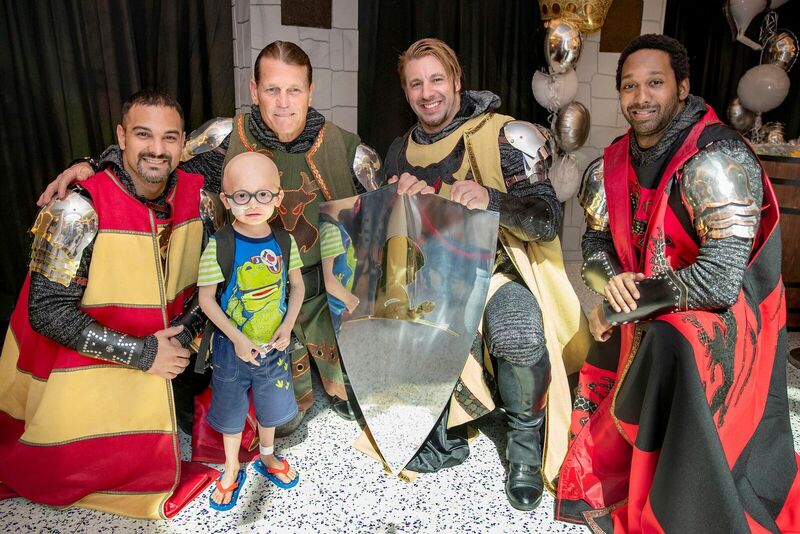 For every ticket purchased Medieval Times will donate 100% of the purchase price directly to St. Jude to support its lifesaving mission: Finding cures. Saving children.® Add-on donations may be added on top of that cost and are tax deductible to the extent allowed by law. Ticket prices start at $40. Such a good cause to support. In addition enjoying a fun afternoon of food and fun. Below is the details on the food options. The food is amazing at Medieval Times. I remember how blown away we were our first time at Medieval Times. I promise you won’t be disappointed. Not big on meat? No worries, the Queen also has vegetarian options. Includes hummus, warm pita bread, carrot and celery sticks, three-bean stew with fire roasted tomato and brown rice, fresh fruit or Italian ice, coffee and two rounds of select beverages. Vegetarian meals available upon request. Ah, the ambrosia of the gods! With your meal, you will have a choice of the non-alcoholic beverages of the castle. In addition, our cocktail servers will be making the rounds and are happy to deliver any spirits from the bar that you request. This is a perfect opportunity to support a good cause and enjoy Dinner and a Show. Be sure to tag St. Jude’s Children Hospital and Medieval Times in your photos.